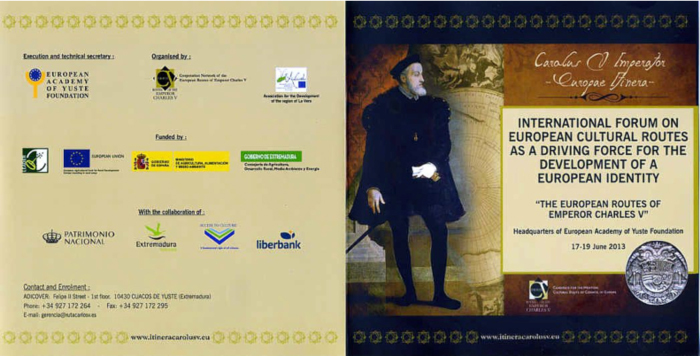 On 25thApril 2007, the Cooperation Network of the European Routes of Emperor Charles V was created in Medina de Pomar (Burgos) with the objective of protecting and promoting the tourist, historical-cultural and economic resources of the European Routes of Charles V. Currently it comprises more than 80 cities and historical sites along the length and breadth of the journeys covered by Charles Hapsburg between 1517 and 1557. Since 2007 the Network has been developing its extensive work in the construction of a wide cultural and tourist programme centred on the figure and work of Charles Hapsburg. On 27th September 2013, the Cooperation Network of the European Routes of Emperor Charles V (RCCV) presented to the European Institute of Cultural Itineraries their application for Council of Europe Cultural Route certification. In May 2015, the Cooperation Network was declared a Council of Europe Cultural Itinerary. Together, the institutions which comprise the Cooperation Network of the European Routes of Charles V accommodate and/or represent the cultural, historical-artistic, academic and social legacy of the reign of the European Emperor Charles Hapsburg, bringing together the largest known collection of evidence of this period of European history. This legacy forms a formidable cultural and historical reference for the present cities of Europe, and tangible proof that the European nations of the Modern Age share cultural, artistic, political and social values not extent of tensions and serious confrontations which have been overcome. Currently, the regions represented offer a vast range of destinations of cultural and natural interest as well as activities and commemorations linked to the character of Charles V which are representative of Renaissance European society (XVI century), and accessible to the knowledge and enjoyment of European and World society. This European Cultural heritage combines all the requisites to define a tour encompassing various regions and countries organized around a theme whose historical, artistic, academic, cultural, social and socio-political interest reveals itself as European fundamentally in terms of its content, meaning and geographical layout. The study and enhancement of the character and times of Charles V, the last European Emperor, through the sharing of a common history and an extensive heritage, is vital to the historical process and construction of Europe and necessary to the fostering of a European identity and a lasting sense of shared belonging to a common history and a broad heritage, diverse and supportive, such as is the European; and will allow the process of European construction to progress based on the strongest foundation stones: culture and the unity of the peoples of Europe. 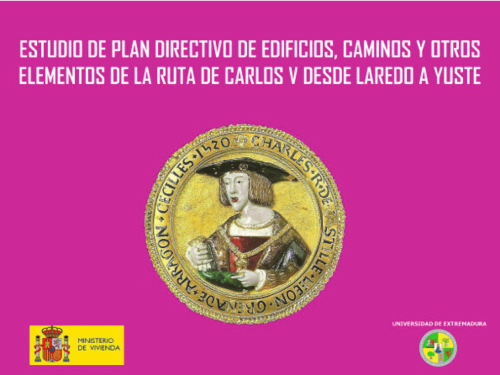 To consolidate a broad Network of cooperation for the development of a cultural and tourist product based on the European heritage of the XVI th century and on the character of Emperor Charles V.
To expand a research programme centred on the history, art and culture of the epoch of Emperor Charles V which will facilitate the development of joint activities. To promote the preservation and diffusion of the European Cultural Heritage of the Renaissance, encouraging common activities in the management, recovery and social enhancement of same. To encourage cultural and educational exchanges, paying particular attention to contact between young people in the diverse regions and countries. To boost the development and circulation of activities which allow the elaboration and widening social awareness of contemporary cultural and artistic activities amongst the members of the network driving the itinerary, as well as with other networks, particularly with the Cultural Itineraries of the Council of Europe. To work in a determined way to create tourist products of a sustainable nature which will improve the lives of citizens, create jobs, free tourism of its seasonal limitations, and create cultural tourism of quality. To favour understanding and cohesion between the peoples of Europe, influencing in particular those aspects required to overcome the interlinked conflicts (religious, social and political) which were brought about by the perilous European history of the Modern Age. To work on the unifying aspects of European society in the Renaissance (art, culture, the classic vision of Europe) in the face of the religious intransigence and territorial conflicts of the epoch.